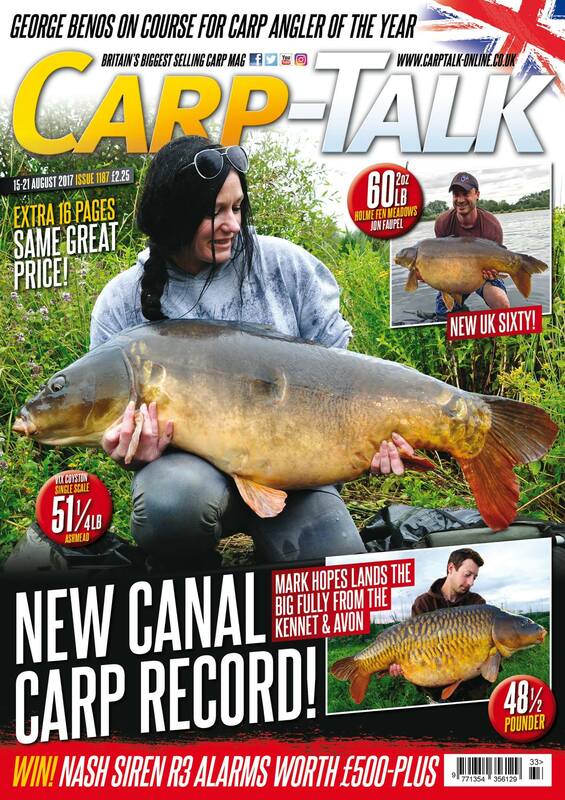 Carp-Talk 1187 features an extra 16 pages for the same price! 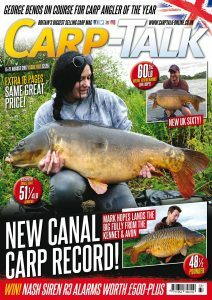 Download now at https://pocketmags.com/carp-talk-magazine#57595d02e03f4 and in shops Tuesday. We’ve got some fantastic stories from across the UK, including a new Scottish record, a new canal record, a new sixty for Holme Fen, one of the biggest fish ever caught by a female, a Bluebell Lakes fifty, and a huge Burghfield fish for one of the best anglers of 2017. We also examine a line-recycling project that looks set to sweep the nation’s tackle shops. Mark Bartlett of DNA Baits shares his long-range casting edges, Crowy of The official Nash Tackle page turns his attentions to a big northern pit, and Dave Magalhaes of The official Nash Tackle page talks floater fishing. Dale Turner, Greg Ellis and John Kneebone of Mainline Baits offer some valuable advice, Wayne Iszatt of Dynamite Baits talks low-key baiting, and Duncan Arrandale of Wychwood Carp recalls a tale when Lady Luck was on his side. Members of Team Solar Tackle share 12 bait tips, Ferenc Szakaly of Blakes Baits tackles the problems of a very deep lake, and Mitch Godfrey of Bait-Tech Carp Scene heads to the Trent. We’ve got a set of The official Nash Tackle page Siren R3 alarms with receiver up for grabs, and the CC Moore & Co Ltd monthly winners are announced.